Liver stage The tagged protein is expressed in late liver stages (schizonts) where it is located in the parasitophorous vacuole. 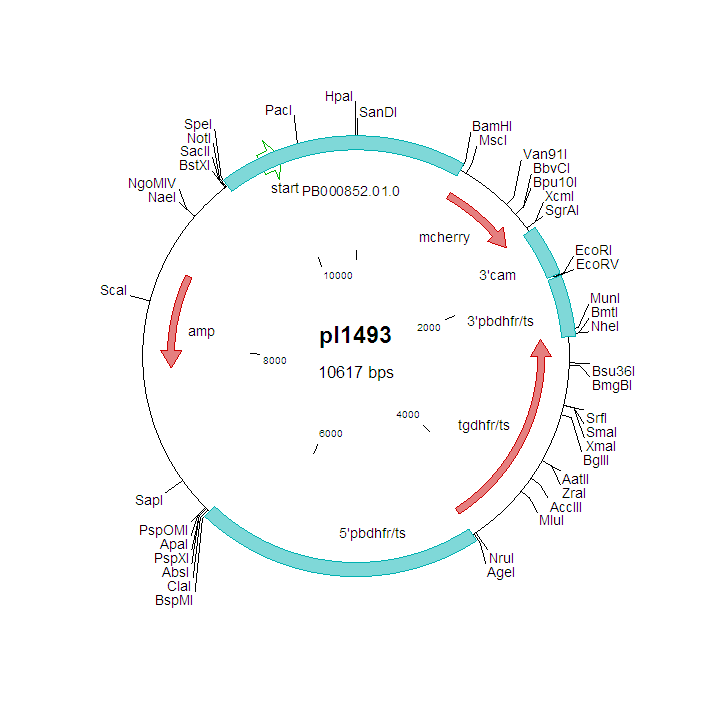 The genotype of the parasites has not been analysed in detail. 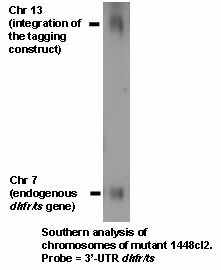 Southern analysis of PFG-separated chromosomes (to show integration into the chromosome on which the target gene is located) has been performed (see below). This analysis provided evidence for tagging of the correct gene. The construct used aims at integration of the tagging construct by single-cross-over integration resulting in the presence of a tagged copy of the endogenous gene. The protein is not detected in oocysts and in sporozoites. The tagged protein is expressed in late liver stages (schizonts) where it is located in the parasitophorous vacuole.